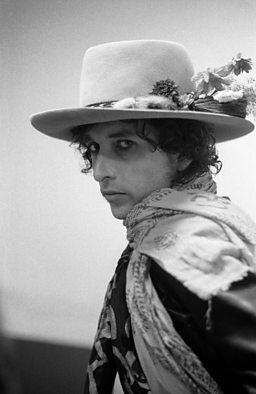 In 1975, Bob Dylan gathered together a motley crew of friends, musicians and lovers, past and present, for a new tour: The Rolling Thunder Revue. Rock photographer Ken Regan was given unrestricted and exclusive access to this unique event. LESLEY SMITH takes a look at Regan’s work, which has been published in Rolling Thunder - a new book which includes previously unseen shots of Dylan and his band, and of which only 750 copies will be released. 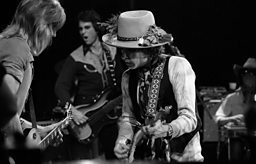 From its inception, the Rolling Thunder Revue would be unlike any rock concert that had gone before. Bob Dylan's 1974 album, Blood on the Tracks, had been hailed as a return to form. But he shunned a stadium tour in favour of playing mostly small town venues, bringing together an impressive line-up of friends and creative collaborators from Joan Baez, Ramblin’ Jack Elliot, Roger McGuinn and Mick Ronson to T-Bone Burnett, Allen Ginsberg and Harry Dean Stanton. Each night, Dylan would reinvent his back catalogue and introduce the audience to the songs that would eventually become his 1976 album, Desire. 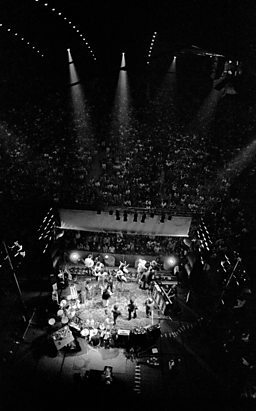 The band played between three and five hours a night, packing out venues and attracting famous fans like Bruce Springsteen, Joni Mitchell and Bette Midler. Not content with just the music, Dylan had a film crew in tow, filming footage for his four hour, impressionistic movie, Renaldo and Clara. A rare glimpse behind the shades of one of music’s most enigmatic performers. He also asked Ken Regan, a photographer he had worked with in the past, to capture the revue. Ken Regan had photographed a previous Dylan gig, taking several shots of Dylan’s mother. Rather than publishing them, Ken sent them to Dylan, winning his trust. The notoriously private Dylan then invited Regan to document his travelling circus, with only his wife and children off limits. 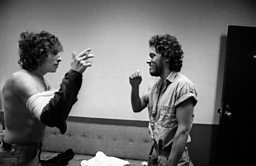 Ken Regan’s previously unpublished shots of Dylan and his troupe of all-star performers offer us a window into one of the most mythologised moments in rock history and a rare glimpse behind the shades of one of music’s most enigmatic performers. Rolling Thunder: Photographs by Ken Regan is published by Ormond Yard Press, March 2016. All Images © Estate of Ken Regan/Ormond Yard Press. 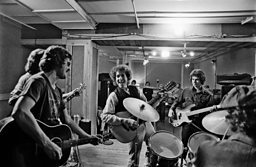 Bob Dylan and the band rehearsing during Ken Regan’s first shoot in New York City in October 1975. 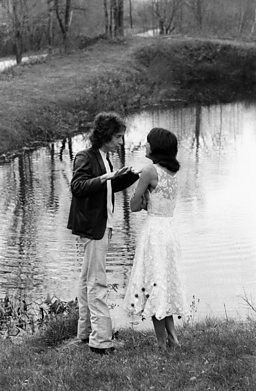 New Haven, Connecticut, where Ken photographs Bob Dylan in his dressing room. Dylan declares this to be the best photograph anyone has ever taken of him. 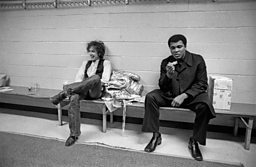 Bob Dylan and Muhammad Ali backstage at the Night of the Hurricane benefit show for imprisoned heavyweight, Rubin “Hurricane” Carter, in Madison Square Garden. 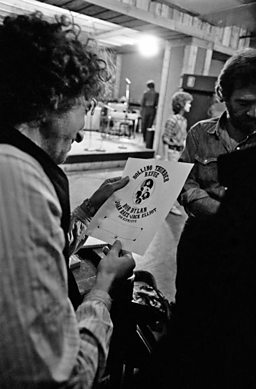 Bob Dylan approving a flyer for the tour. Talking to Joan Baez at the water’s edge in Becket, Massachusetts. While staying in a local lodge, the owner, a huge Joan Baez fan, gives Joan her wedding dress which becomes her costume in Renaldo and Clara. 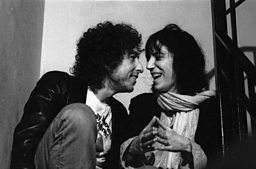 Bob Dylan and Patti Smith at a party in Greenwich Village where Ken takes a famous series of photographs of them in animated discussion on the stairs. 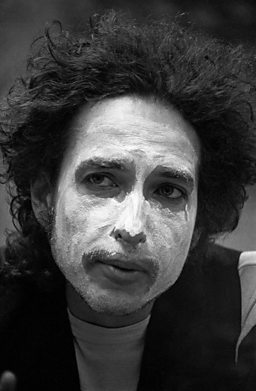 Bob Dylan in his, now iconic, white face makeup. He explained to Ken Regan that “I want the people way in the back to be able to see my eyes”. 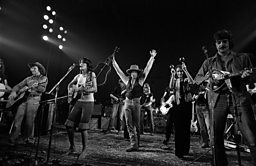 Joan Baez takes centre stage with the Rolling Thunder Revue in full swing. An already famous Bruce Springsteen comes back stage in New Haven to meet the circus master. Trading licks with Mick Ronson.